Bebe Calin Mila fits perfectly in the arms of your child. 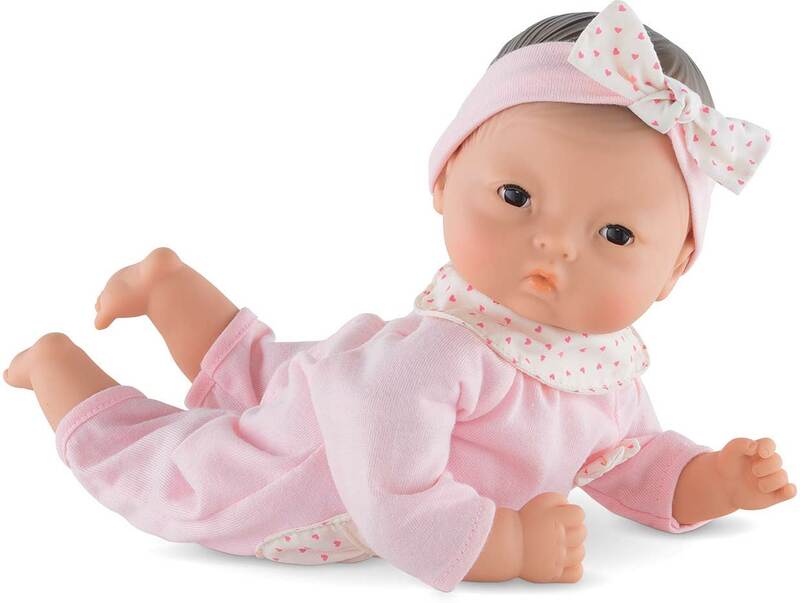 Mila is a 12 inch Corolle baby doll, sized just right for hugging and cuddling. Her soft body can be posed. She has brown sleepy eyes which close when it is time for a nap. 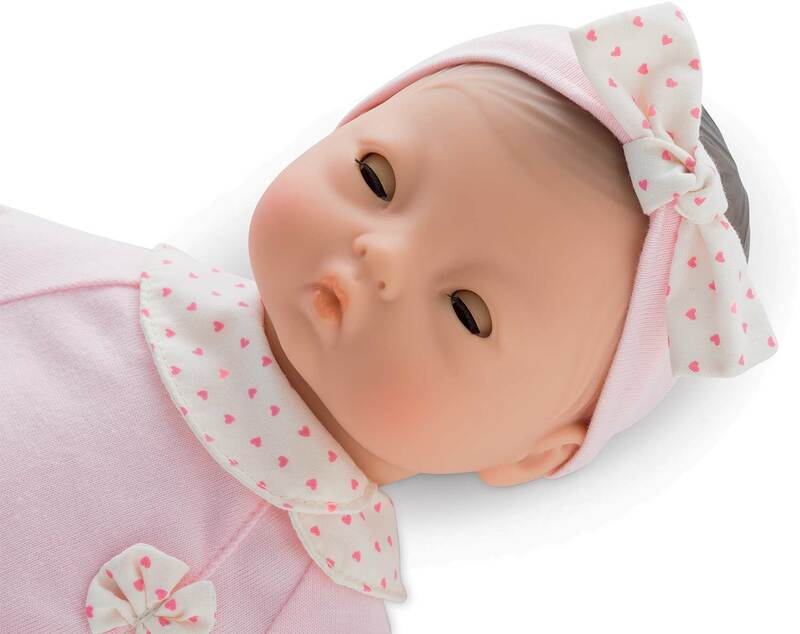 Mila's face, arms and legs are soft vinyl that is delicately vanilla scented. She is wearing pink pajamas and a matching headband. Measures approximately: 8.00 x 13.25 x 4.25 inches..